Nothing planned for the upcoming public holiday on 13 March? Head down to Stein's Taphouse for their all day Gin special! 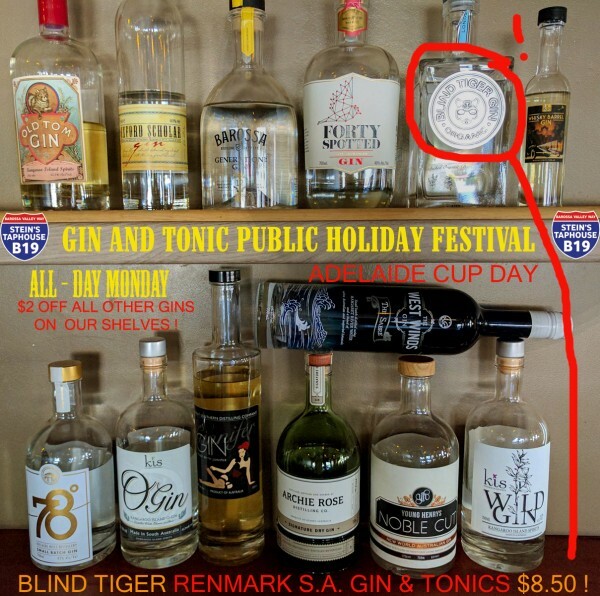 They'll have Gin and Tonics made from Blind Tiger Organic Gin for $8.50 and $2 off all other Gins on their shelves.